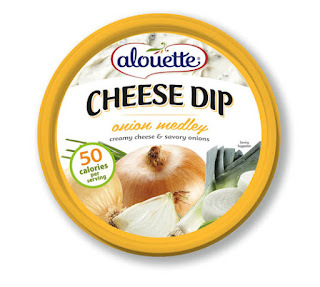 A few months ago, I was at Publix and I saw a small container of Alouette in the deli case. I really was intrigued by the flavor, Honey and Apricot, so I decided to try it, and I have been hooked on Alouette products ever sense. I decided to dip celery and carrots into the Cucumber Ranch so I could keep it healthy. The Cucumber Ranch had a very nice smooth flavor, reminding me of a Tzaziki sauce. 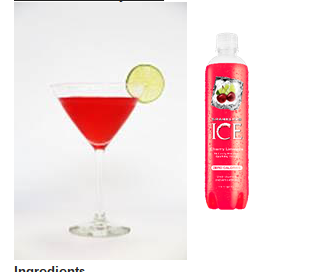 You can purchase all three flavors for around $5.50 in most grocery stores. I have a 3 year old Miniature Pinscher. She is my best friend. We do everything together! I am always trying to buy her new treats to try, but she is so picky, I can't get her to eat any of them. It doesn't matter if they are dollar store brand, or from the little display on the way out of the pet store, she won't eat it! I was SO happy to try the Greenies Dental Chews with her. I was really hoping maybe I found something she would like. When I took it out of the bag, she really didn't seen interested, but I put it down next to her and within a few seconds she was licking it. This is a good sign! 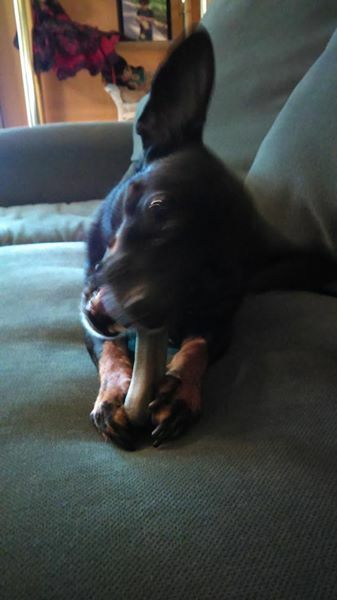 Slowly, she started chewing on it, and as you can see, she is full on enjoying! I wish I could give her more than one a day, but now we will have to check out the whole line of Greenies products to see what else she might like! Having preteen boys, I can definitely say, we have an array of smells in our home and car. No matter how many showers they take, they always seem to smell. I have given them deodorant, and we wash everything consistently, but there is still something...about having boys of this age that just STINKS! 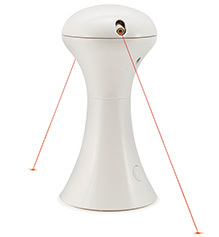 Funkaway odor eliminating spray has definitely helped! I spray it on the boys clothes, and their gym socks, and even right on their sports uniforms. It doesn't mask the odor, like other sprays, it actually gets rid of the funk! You can check out the whole line of products here, but I only tried the spray, so I can't comment on the rest, but the spray is great! Twinings Tea has expanded their line of Earl Grey teas with three new floral and bold flavors – Earl Grey Extra Bold, Earl Grey Lavender, and Earl Grey Jasmine. 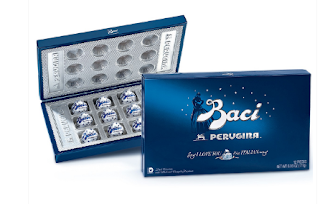 This line extension reflects the brand's commitment to provide the perfect balance of taste, flavour and aroma. The Earl Grey line is Twinings' most popular offering, which is steeped in rich history and tradition. I drink tea almost every day, and I am always excited to try new flavors. I always think the new one will be my new favorite! Again, I have a new favorite. I have always loved Lavender tea, but it's hard to find in a black tea, usually its herbal. So this was great for me! The tea is rich with lavender and tastes delicious and mild. 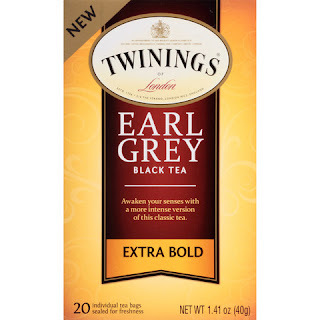 The Extra Bold is one of those teas for when you really want a strong flavor. I remember my mom soaking 2 or 3 tea bags in a cup to get it strong enough for her liking. With this Extra Bold, she won't have to! This tea, is FANTASTIC! 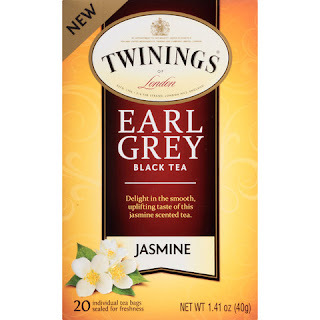 If you get a chance to try it, PLEASE do..it reminds me of a tea from an asian restaurant, its mild, and floral..wonderful with a dash of cream! 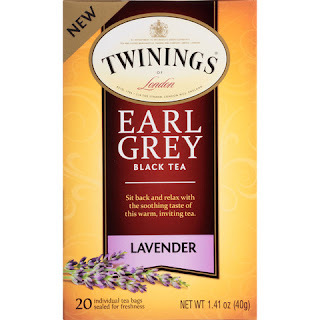 You can find the new flavors of Twinings Teas in most retail stores. Join the adventures of the hilariously mischievous sheep that audiences of all ages love when Shaun the Sheep: Seasons 3 and 4 arrives on DVD and Digital HD February 7 from Lionsgate. Be sure to catch up on the family-friendly, slapstick comedy featuring Shaun and his silly farm friends. With over six hours of fun in 50 episodes across two seasons, the 4-disc Shaun the Sheep: Seasons 3 and 4 DVD set will be available for a great value at the suggested retail price of $19.98. 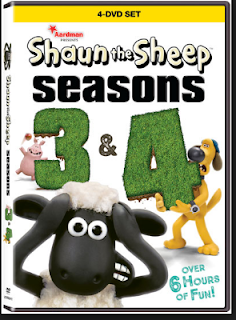 Shaun, the world's favorite little sheep, returns with even more farm-tastic misadventures in Seasons 3 and 4. Also look for last years release: We Wish Ewe a Merry Christmas! 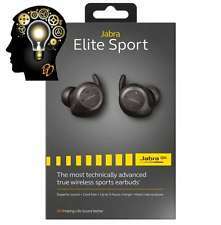 Jabra Elite Sport wireless earbuds feature advanced wireless connectivity, superior sound and call quality, and up to 3 hours talk/music time in the headset + additional 6 hours battery charge in portable charging case. With customizable fitting options, the cord-free earbuds stay securely in place and you have the option to wear one or both buds depending on your activity. The in-ear precision heart rate monitor works with our integrated Jabra Sport Life app to track and analyze your fitness, as well as provide personalized audio coaching. 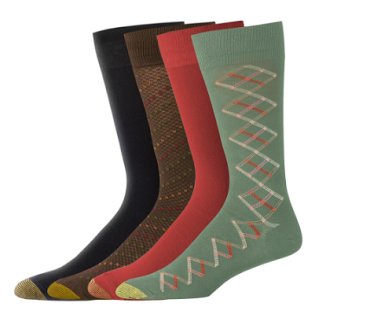 The waterproof design comes with a 3-year warranty against sweat. The newest popcorn brand on the market, The Little Kernel is a better for you snack with a unique, hulless, "miniature kernel. "Popped in 100% pure olive oil, each popcorn is gluten-free, non-GMO, dairy-free, kosher and certified with whole grains, making The Little Kernel the perfect gift for anyone on your Valentine’s Day list! Whether you are gifting your gifting your friends, a parent and even yourself, The Little Kernel is a delicious addition to this special day. Mr. Bubble has grown up with our family and now, just in time for Valentines Day Mr. Bubble is introducing an adult line! The new line is called Luxe by Mr. Bubble. The packaging alone is super cute! 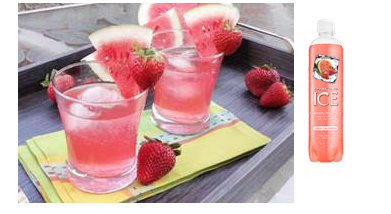 It has a retro look and comes in reusable tins. The new Luxe by Mr. 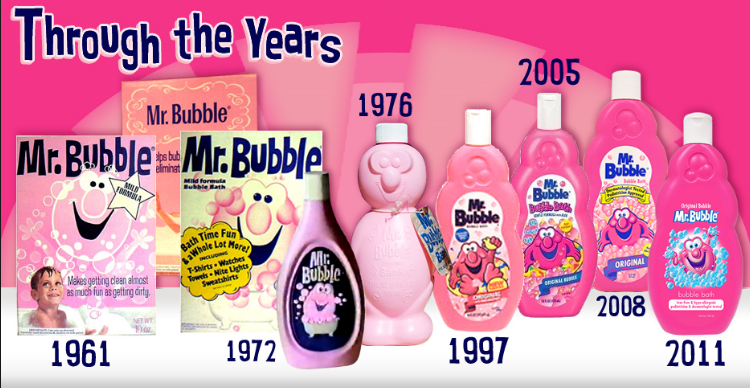 Bubble includes a slide-top lip balm, Mr. Bubble powder, bath bombs in a "martini shaker", body butter, a shower creme and a body mist. Luxe by Mr. 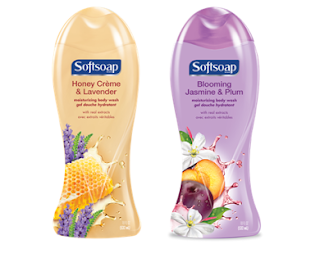 Bubble comes in 3 scents: Original, Sweet & Clean and Sparkling Sorbet. You can purchase all these great new products from Mr. 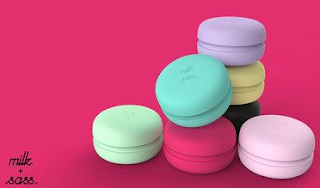 Bubble at Ulta.com and Ulta Beauty stores. 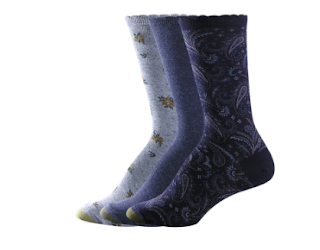 Also, for Valentines Day you can find two of the Luxe's Mr. 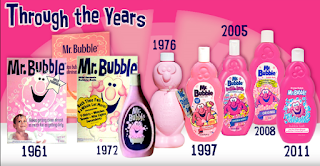 Bubble most popular products at your local Target retail store. They are the Powdered Bubble Bath & The Bubbletini BathBombs, in the 2 scents Original and Sweet & Clean. Put passion to paper — Nothing says I love you (or I really like you, let’s not get ahead of ourselves here) like a thoughtful handwritten message. Iconic and timeless, the love letter is the ultimate symbol of affection. 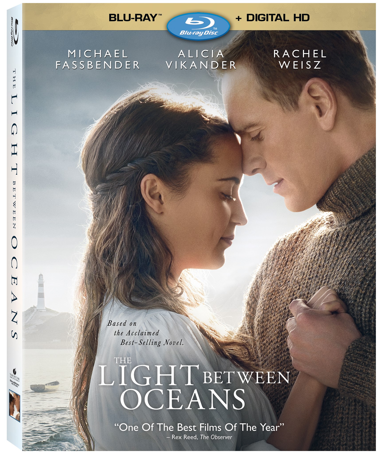 Not only does every onscreen romance in the history of forever feature a dramatic reading of a love letter, but 88% of real life lovers hold onto these special notes long after receiving them. This Valentine’s Day, grab your favorite Pilot pen and let your heart take it from there! Pilot’s MR Retro POP — With vibrant colors, energy and motifs of the late 1960s and 1970s paired with the premium materials and quality of the MR line of pens, the MR Retro POP Collection brings a whole lot of personality and magic to the holidays. Featuring premium brass barrels, stainless steel accents and nibs that are standard to the MR Line, MR Retro POP incorporates new striking pops of color and coordinating retro patterns on ‘middle ring’ designs. 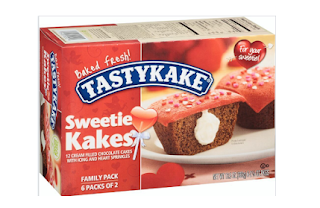 Tastykake has whipped up delicious, no-bake Valentine's Day treats that are easy to make and made with love. 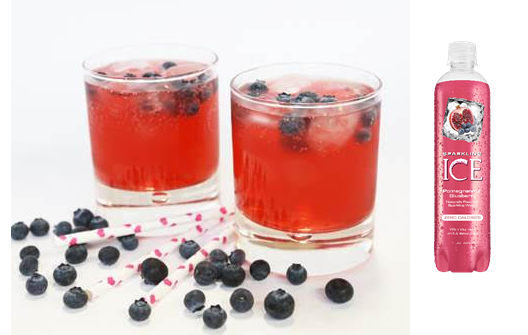 Each recipe takes less than 15 minutes, leaving more time to snuggle up with your sweetie. 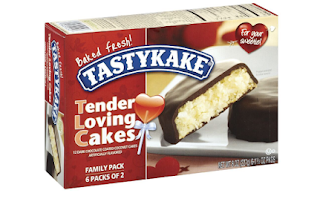 Whether you're looking for goodies to give as gifts or a reason to bring loved ones together, these treats will do the trick. Wear a scarf that can keep you dry if it starts to rain! Comes in 7 exciting colors. Simply invert the scarf to get the rain proof hood, then flip it inside out again to stash the hood away. 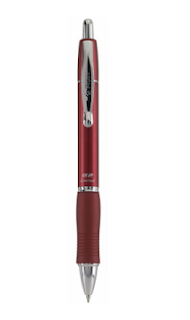 Super generous 75″ length, easily protect your hair style when surprise weather hits. 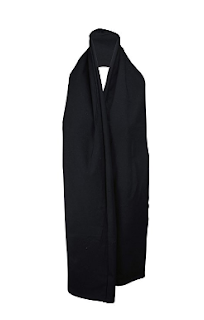 Fashionable scarf in the sun-shine and water-resistant hood and shawl in the rain and snow. 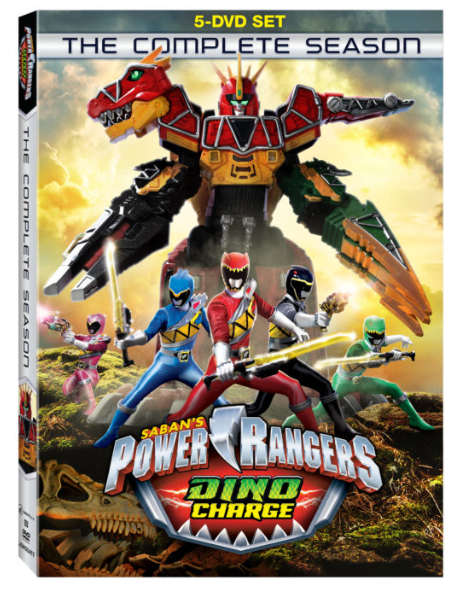 I cannot stress enough, how much my kids and I enjoy Power Rangers! I am constantly blown away with how long Power Rangers have been around. I will always remember watching my first show when I was younger and being able to continue the now a tradition of watching with my own children! 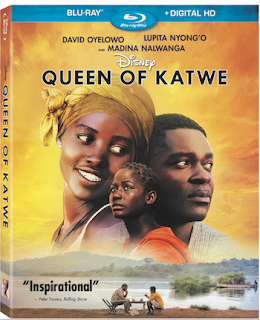 You can find out more about the all new release by checking out the information below! Check out some of the fight scenes which are featured in the Power Rangers Dino Charge: The Complete Season. 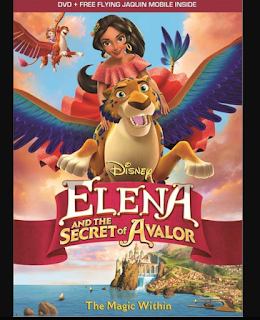 Disney’s newest princess comes to DVD with the release of Elena and the Secret of Avalor to tell the story of how Elena’s adventures in Avalor began! Frozen in time and trapped inside the Amulet of Avalor for over forty years, Elena has finally found the one, brave princess who can set her free: Sofia of Enchancia! With help from magical flying Jaquins, spirit animal Zuzo, and young wizard-in-training Mateo, Princess Elena must unite her people and battle the evil sorceress Shuriki (voiced by the legendary Jane Fonda) to reclaim her throne. 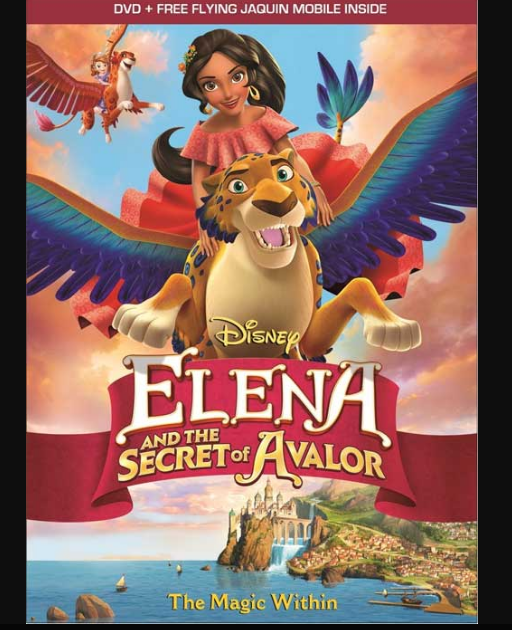 This DVD is packed with laughs, new characters to cherish, and heart, Elena and the Secret of Avalor is a must-own for the entire family! Includes the TV Movie, Plus Four Additional Episodes, a music video, and a FREE exclusive Flying Jaquin Mobile! 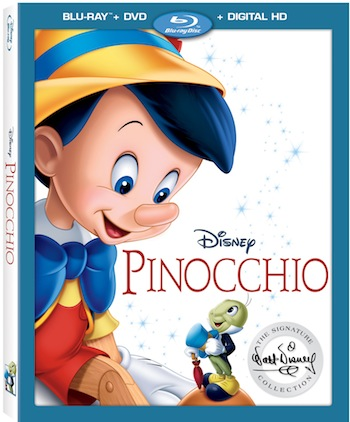 Bring home this charming series on Disney DVD February 7th! 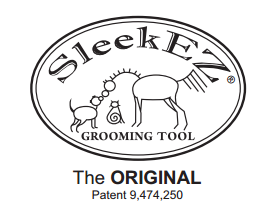 The SleekEZ is a new patent pending Pet Grooming product. SleekEZ is made up of an solid wood handle, and a saw like blade to really capture the fine hairs on your pet. 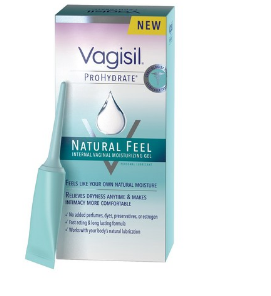 The product works best on Dogs, Cats and Horses. 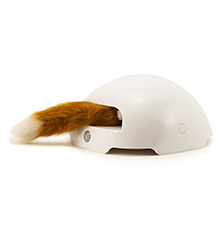 SleekEZ comes in 3 sizes, Small which is 2.5" works best on cats and small dogs. The Medium which is 5" and works best on dogs, but can also be used on cats, and finally the Large which is 10" that is great for horses and larger dogs. 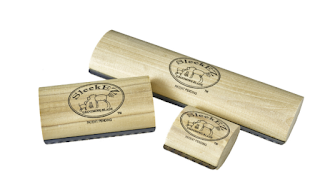 You can purchase each SleekEZ separately or all 3 for $44.95. 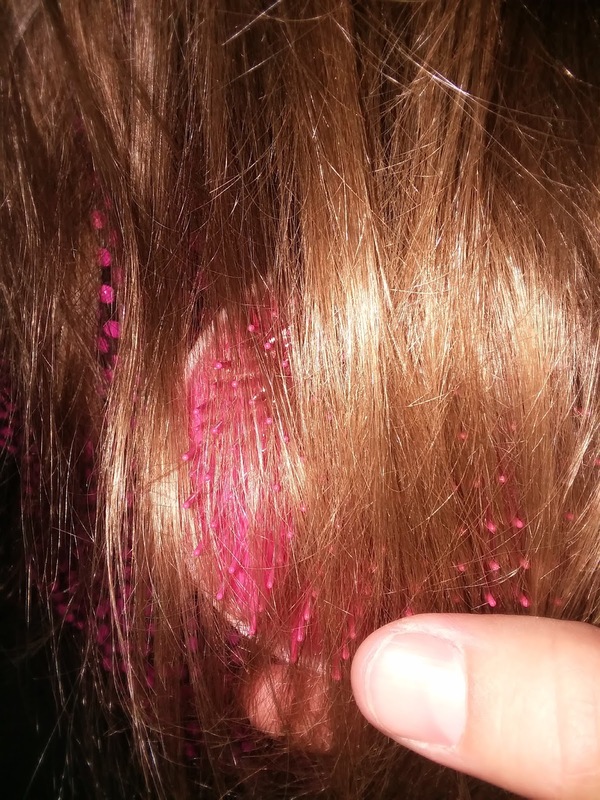 When using your SleekEZ, I would suggest being outside so you do not have a mess to clean up afterward from all the hair it has removed. I also would recommend a washcloth or something to wipe the blade after you have done a few sections. If you are lucky enough to have a dog or pet who likes vacuums you can also groom while sucking up all the loose hair. Some Fun Valentine's Day Recipes with Sparking ICE! In a medium bowl combine your Sparkling Ice and cake mix, stirring with a whisk until most of the lumps are gone. Fill each liner ½-2/3 full of batter. 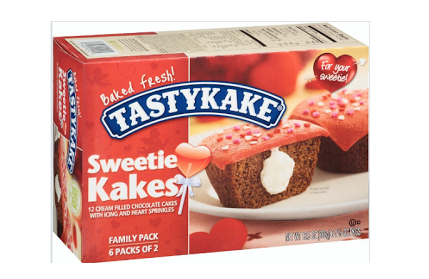 Bake for 18-20 minutes until cupcakes are springy and toothpicks comes out clean.